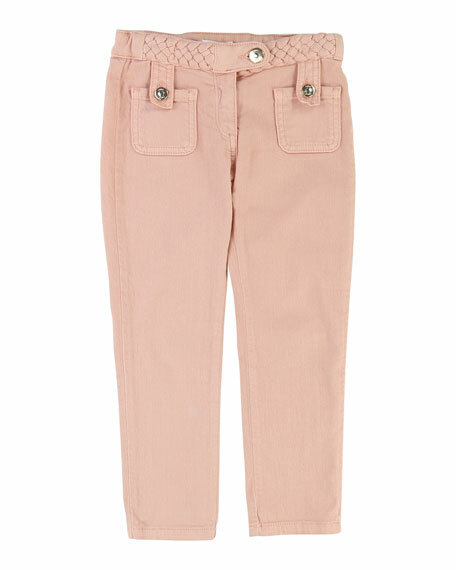 Stretch denim boot-cut jeans by Chloe. 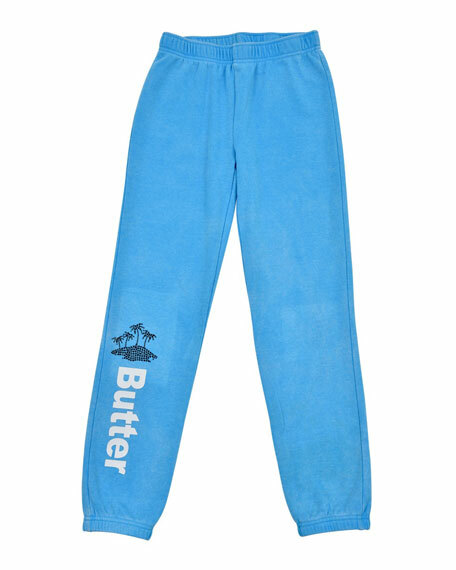 Front slip pockets with button closure. Button/zip fly; braided detail at waist. 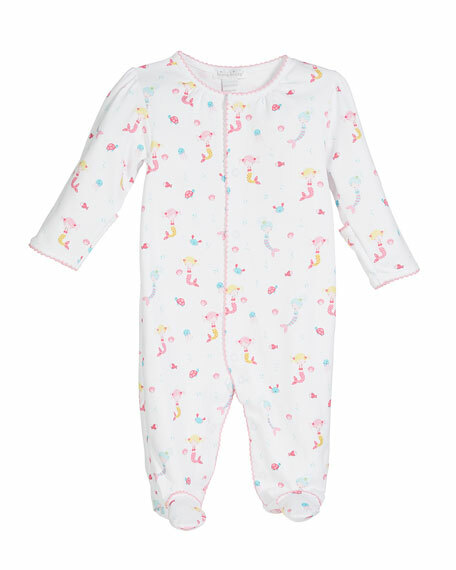 Kissy Kissy printed footie playsuit from the Mermaid Fun collection. Crew neckline; snaps through front. Long sleeves; pleated shoulders. Footed silhouette. Snaps through legs. Pima cotton. Made in Peru. 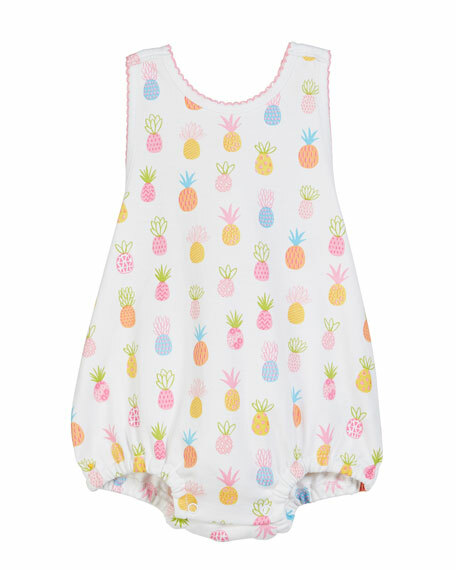 Kissy Kissy bodysuit from the Pineapples collection. Scoop neckline. Wide straps. Bubble silhouette. Elasticized leg openings. 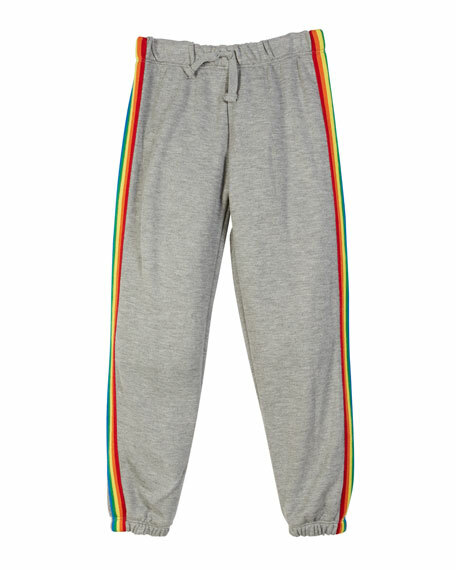 Snap gusset. Pima cotton. Made in Peru.